This fine painting of the Tibetan Antelope, Pantholops hodgsonii, was ‘discovered’ while carrying out a survey of the art collection in the Library. In watercolour and gouache, it measures 83.5 x 63.5 cm and has a distinctive black border. Brian Houghton Hodgson commissioned it while he was working in Nepal, it was framed and put on a wall. Brian Houghton Hodgson’s Painting of the Tibetan Antelope, or Chiru, c 1840. It is unsigned and the identity of the artist is unknown but Hodgson is known to have employed several talented Nepalese artists. We do not know if the artist drew from the living animal or from specimens or a combination of both, or was guided by Hodgson’s zoological knowledge. It probably dates from around 1840 and it is one of the earliest paintings of the Tibetan Antelope. The Tibetan Antelope was recently in the news again as it is one of the five mascots chosen by China for the Olympic Games to be held in Beijing in 2008 and this publicity may help the species’ survival. It lives only in Tibet and parts of India where its numbers are seriously threatened by poaching for its undercoat which is used to make luxury woollen shawls known as shatoosh. For further details about the collections of Brian Houghton Hodgson please see our August 2010 artefact where we have collated information about the manuscripts. Puneeta Sharma, an MA paper conservation student at Camberwell College, University of the Arts London, has conserved this painting part of her 2014 MA project. This painting is separate from the manuscripts but forms part of our Hodgson collections. The painting had removed from a frame, folded then rolled. Puneeta flattened and mounted the painting, carried out repairs, remhumidified parts and made a slipcase for storage, A detailed report of the work she carried out can be found in ZSL Library The conservation of a watercolour and gouache painting, c. 1840 / Puneeta Sharma, Thesis (MA) - Camberwell College of Arts, 2014 kept at 28AE,YKP. It is likely that the painting was by Raj Man Singh who worked for Hodgson as an artist. Handwritten notes on the back of the painting states `My Birds & Mammals done my painter send to me by Jang Bahudur' (prime minister of Nepal 1846-1877). The second set of notes on the back is illegible and appears to be written in Devanagari script. Black ink at the bottom of the painting is written in Devangari script and roughly translated in Nepali to `the deer is roaming in the kings jungle'. Many resources are available in ZSL Library and no appointment is necessary to use these, however we do ask visitors to make an appointment if you intend to use any of our `special collections - this painting and the other Hodgson material forms part of our `special collections'. 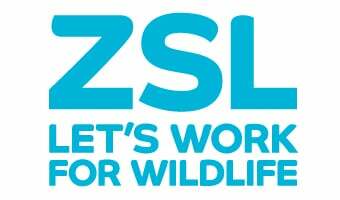 If you are a ZSL member please bring your membership card when visiting ZSL Library. If you are not a member of ZSL will need proof of address and photographic ID when you visit.